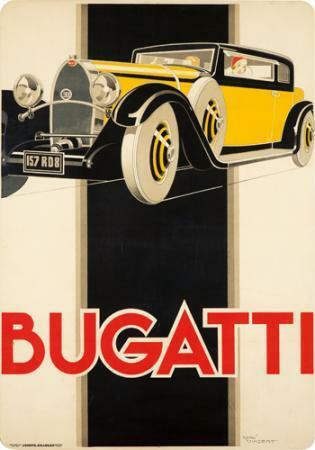 Poster Auctions International is celebrating their 50th anniversary with a huge auction of 500 rare and important posters, with a particular focus on Art Deco and Art Nouveau pieces. 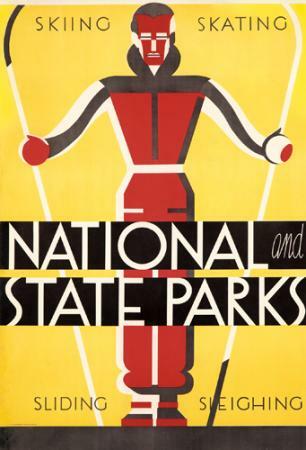 If you’re a sucker for beautiful vintage advertising posters like I am, these 500 will put stars in your eyes. 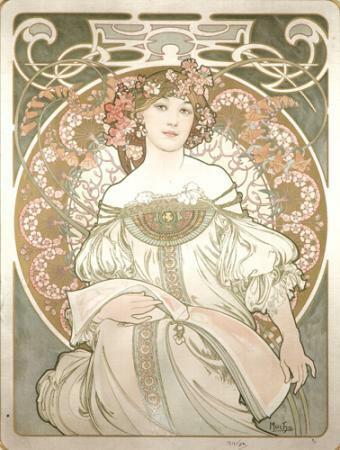 Additional highlights include impressive offerings from some of the most renowned Art Nouveau masters. 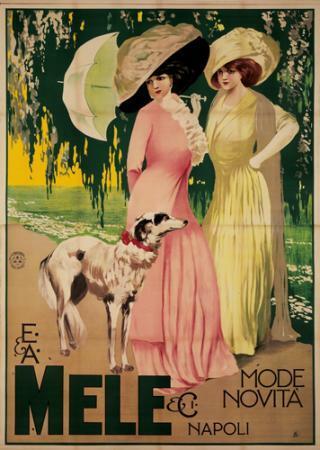 Over 30 works by the Father of the Poster, Jules Cheret, 15 works by Cappiello, 18 posters by Mucha, and a dozen Italian fashion classics for the Mele store in Naples. Other highlights include a contemporary work by William Kentridge, the original one-of-a-kind bas relief sculpture for the film Metropolis, the rare Sutro Baths, Mistinguett, propaganda (from Rockwell to Obama to the famous recent Swiss anti-minaret poster), WPA, the 1923 Lawn Tennis Championship, a very early Houdini, and Soviet posters from Lenin through Stalin. In other words, every vintage poster you’ve ever seen replicated. If you’re going to be in New York anytime between April 9th and May 1st, hightail it down to the Poster Auctions International showroom at 601 W. 26th Street where all the posters will be on display. Admission is free, so you can drool to your heart’s content even if you can’t afford to bid the thousands of dollars each piece is likely to garner at the May 2nd auction. For those of us who can’t be there in person, we can browse the gorgeousness on the PAI website. 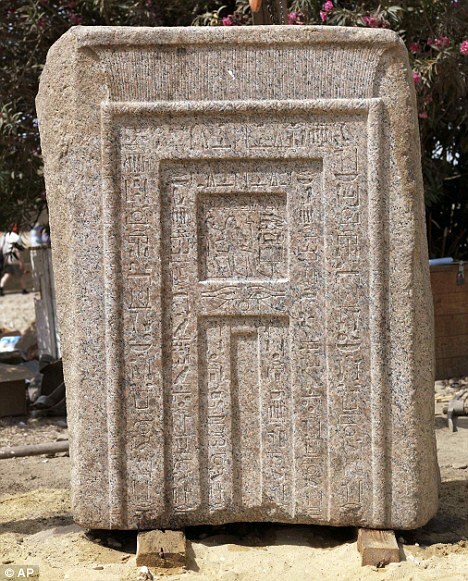 Archaeologists working near the Karnak temple in Luxor have uncovered a six-foot-tall, 19-inch-thick slab of pink granite used as a false door through which the spirits of the dead traveled to and from the afterlife. Ancient Egyptians put these false doors in the west walls of tombs facing tables laden with victuals left for the spirits of the deceased. The door is 3500 years old and the copious religious texts and inscriptions engraved on it indicate it used to be in the tomb of User, Queen Hatshepsut’s chief minister, and his wife Toy. The door wasn’t actually found in his tomb, however. It was found quite away. 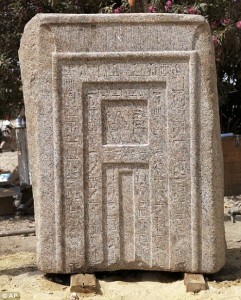 According to Mansour Boraik, the head of the excavation mission, probably removed a thousand years after User’s death to be used in the construction of a Roman-era wall in front of the Karnak temple. Last year archaeologists excavating the ancient remains of Gabii (the site where Tarquin’s palace was found last month) found an 800-pound lead sarcophagus that instead of having the standard casket-and-lid construction actually folds over its resident like a burrito. It’s been in storage since its discovery, and is now being moved to the American Academy in Rome for further study. It dates to 4th or 5th centuries A.D., and most likely contained someone of some importance, or at least of means. Lead was extremely valuable back then, so anybody who managed to scare up 800 pounds of it only to bury it all had to have serious funds. It’s also unusual because Romans, even at that late date preferred cremation, and when they did bury people they used wooden caskets. Several hundred lead coffin Roman burials have been found, many of them containing the remains of gladiators, high-status women and adolescents. 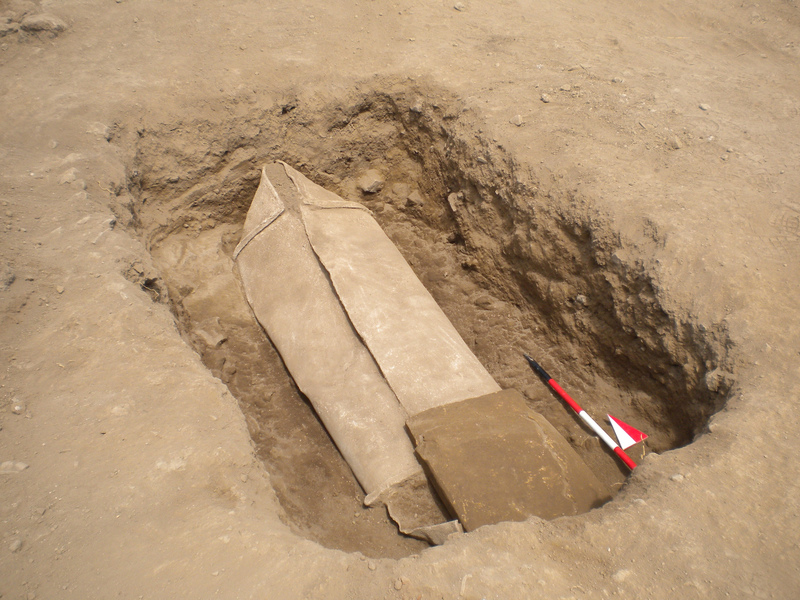 Figuring out who was buried in this coffin will be no easy matter. For one thing, there were no grave goods found despite the burial having been found intact and capped with a cement cover. For another, the thick lead is impenetrable by x-ray and CT scans, so the options for non-invasive investigations are limited. The researchers’ only hint so far is a small foot bone protruding through a hole in one end of the coffin. Some lead burials have allowed for “extraordinary preservation” of human tissue and hair, Becker said, though the opening in the sarcophagus may mean that air has sped up decomposition of the body. Another curiosity about this burrito burial is that it took place in the middle of a city block. There was a powerful taboo against burials within city walls, so whatever drove the survivors to bury this fellow intown must have been compelling indeed. There may have been some major event that made people bury the body downtown—a possibility he intends to investigate during the next dig. “As we seek to understand the life of the city, it’s important for us to consider its end,” Becker pointed out. 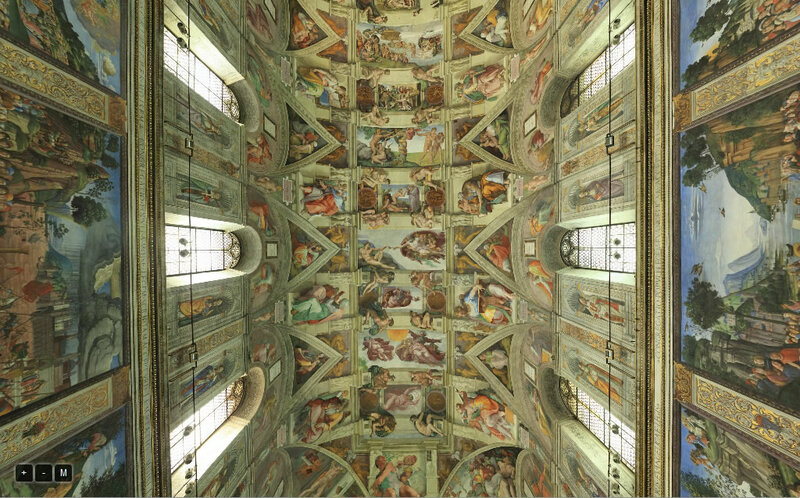 The Vatican has up an amazing 3D virtual tour of the Sistine Chapel on its website. You can move in any direction, crawl the beautiful mosaic floor, climb up the walls to the ceiling, slide down The Last Judgment and back again. It rotates in every direction. Click and drag and the whole room follows. The room takes a little time to load when you enter, and the zoom function can be a little poky reloading the images, but they have beautiful hold music while you wait and the end result is totally worth it. From the “OMG I can’t believe how spoiled I’ve become” annals, I wish they had annotations, even just some hovertext notes would be great so you could identify characters and themes. I went hunting online for a numbered map that provide that information, but I couldn’t find one. This site is as close as I’ve found. It’s not exactly the most navigable site I’ve ever seen, but it packed to the gills with info about the ceiling frescoes, The Last Judgment, and the chapel wall frescoes. The virtual tour was designed by a team of students and faculty from Villanova University‘s communications and computer science department on behalf of the Vatican Museum. They’ve been working on the project for 2 years, photographing every inch of the chapel. This is the most access any outside group has ever been granted. Several thousand digital photographs were taken with an advanced motorized camera rig and then digitally stitched together, color-corrected, and post-processed by Villanova team members to create a cubic panorama file that presents the Chapel in a three-dimensional projection. Tour visitors can zoom in for high-resolution views of the interior of the Chapel. The tour can be viewed over Internet connections with a variety of bandwidths. The Villanova team have already created virtual tours for the Basilica of St. Paul Outside-the-Walls (my favorite church when I was a girl because of the glorious gold facade and the cloister) and the Basilica of St. John in Lateran. They just finished the internal work on St. Peter’s Basilica, with the tour scheduled to go online as early as this summer. 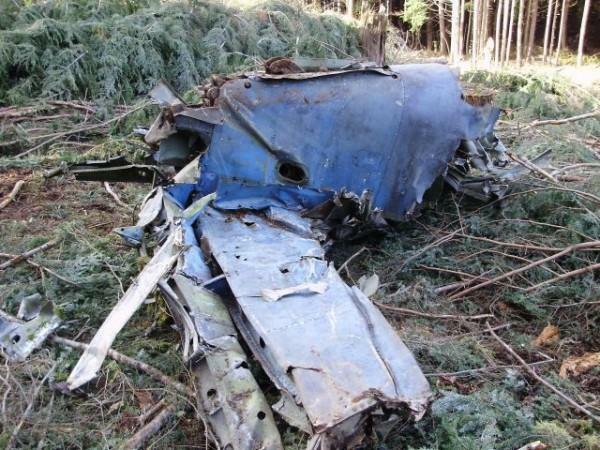 Lumber company workers logging a wooded property near Rockaway Beach, about 20 miles away from the former Naval Air Station Tillamook, uncovered wreckage from a World War II-era aircraft last Thursday. They first spotted a wing, tail, the landing gear and some other assorted bits and bobs. Then they looked around and found more debris scattered widely. Later investigators determined that the wreckage is spread out over 200 yards. The aircraft has been identified as a Curtiss SB2C Helldiver, a two-seater that after a rocky early production run became one of the Navy’s most-used attack and bombing planes during the latter part of World War II. They could reach a top speed of 295 mph, carry 1,000 pounds of bombs and one internal torpedo of up to 500 pounds. Helldivers based out of Air Station Tillamook acted as submarine escorts in the area during the war, targeting any Japanese submarines that might be hunting US vessels. It’s likely, however, that this particular aircraft didn’t see active war-time duty. 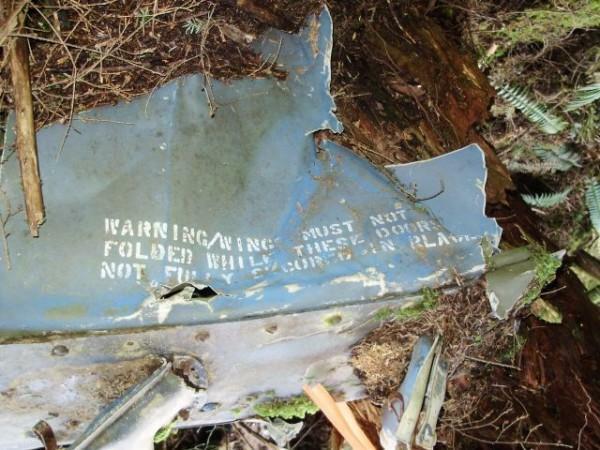 A stamp of “1946” was found on one of the fragments, which could be a random numeral but is most likely the date, so although investigators are looking into all known Helldiver crashes in the area, one that happened in 1948 — the same year Navy Air Station Tillamook was decommissioned — 15 miles north of Tillamook seems the best candidate. Navy investigators are still searching the area meticulously. They’ve already ruled out the presence of any unexploded ordnance. Oregon State Police bomb experts have scoured the site and found no bombs or bullets. Now the focus of the investigation is any potential human remains. “If this is one of our shipmates we would treat that like we would treat one who died today with respect to our fallen comrade and respect to the family,” said Sean Hughes, Navy Region Northwest Public Affairs Officer. Okay, who wants to get me a $30 million early birthday present? Because I found just the thing: J.M.W. 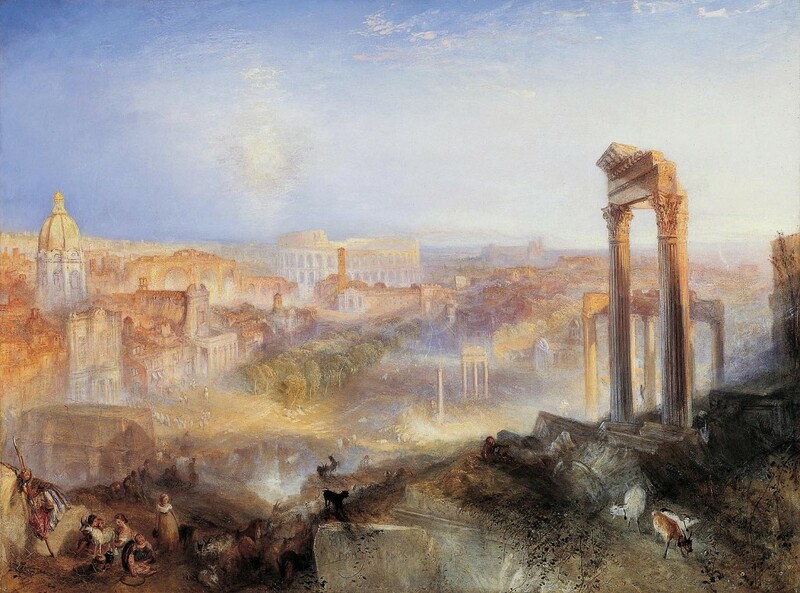 Turner’s last painting of Rome. It’s a painting of the Roman Forum between the Capitoline and the Colosseum. At that time, it was still being used as common grazing land for cattle, sheep and goats, which had been its fate since the city population plummeted after the Gothic Wars in the 6th century. That’s why it was known as “Campo Vaccino” (cow field). The first tentative excavation of the Roman Forum had started just 40 years earlier. Under Napoleon in the early 1800s, there was a push to clear the centuries of debris to reveal the ancient city, but it didn’t go much further than a cleanup operation, so when Turner painted the above masterpiece in 1839, the Forum was still a good 70 years from being fully excavated. Turner loved Italy. He traveled there 7 times over the decades. His paintings of Rome were widely beloved and highly influential during his lifetime, famed for their characteristic interplay of light and color. Should the British Museum Return the Rosetta Stone to Egypt? When last we saw our intrepid blogger participate in a Heritage Key challenge, the topic was the most important ancient site in London. Now challenge 3 looms, and this time the topic is a controversial one: should the British Museum give the Rosetta Stone back to Egypt? The Rosetta Stone is a carved granodiorite stele made during the reign of Ptolemy V in 196 B.C. The text carved upon it is a single proclamation written in three languages: ancient hieroglyphic, Demotic and classical Greek. It was discovered in 1799 by French troops in Fort St. Julien, Rosetta (today known as Rashid), Egypt. When I say it was discovered in Fort St. Julien, I mean it was actually a part of the fort. It was found during construction work. At some point in its lifetime, the stone had been re-purposed as building material. French officer Pierre Francois Xavier Bouchard immediately recognized its archaeological value and packed it off to the French Institute of Egypt in Cairo. When Napoleon’s troops got spanked by the British in 1801, the stone was one of the spoils the victor claimed. It has been on display at the British Museum since 1802, interrupted only twice: once by World War I (1917) and once by loan (October 1972, to the Louvre). What makes this hunk of volcanic rock worth launching international incidents over is not so much the object itself, but the fact that the juxtaposition of the three languages allowed British polymath Thomas Young and French scholar Jean-François Champollion to decipher ancient Egyptian hieroglyphics in the early 1800s for the first time since the language died out in the 5th century A.D. So should the Rosetta Stone be returned to Egypt? Zahi Hawass, Secretary General of the Egyptian Council of Antiquities, certainly thinks so. He considers it an icon of Egyptian identity that was “raped” by French invaders and as such it belongs in Egypt, its homeland. His position isn’t quite as firm as it seems, however. He originally asked the British Museum to loan the Rosetta Stone (and several other iconic pieces) to Egypt for the opening of the new Grand Museum at Giza in 2013. The BM’s response was a less-than-felicitous questionnaire about security conditions in the new museum. It was only after that that Hawass shifted approach to demanding repatriation. The British Museum, for its part, considers the Rosetta Stone to be one of the jewels in its crown. It is the second most visited item (the first is a bog mummy) and most profoundly, it is a nucleus around which the great universal museum grew from modest beginnings as a glorified curiosity cabinet in 1753. The museum makes some questionable claims, in my opinion, to justify its retention of the Rosetta Stone: that more people can see it in London than would in Egypt, that it has added value in the context of the encyclopedic museums because their vast displays tie together history and culture from many places, that it’s too old and fragile to be moved, that one repatriation would open floodgates that would in short order sweep every last scrap of colonial spoils out the museum doors, that Egypt won’t secure it properly, that Egypt might even be so bold as to keep it once they have it on loan. The utilitarian argument of the number of people who get to see it doesn’t address the underlying ethical questions at all. The value of its context within the British Museum pales in comparison to its cultural value to the Egyptian people. In this day and age, secure transportation even of extremely fragile antiquities is not a barrier to movement. If the Terracotta Warriors can travel the globe for years, a big slab of rock should be just fine. The floodgates argument is hyperbolic at best given that even Hawass himself only has 5 items on his ideal repatriation wish list, only this one in the BM. The latter two points are just offensive, frankly, hence Hawass’ reaction of going from asking for a loan to demanding repatriation. But — and my regular readers here might be surprised to see me say this — I don’t actually think the Rosetta Stone should be returned forthwith to the bosom of mother Egypt. Many’s the time I’ve inveighed against looters and the museums, dealers, auction houses and collectors that have enabled the vicious, almost unbearable despoliation of archaeological sites, but once you go back a few hundred years, things are not so cut and dried. Do the victors get to keep the spoils forever, even when centuries later they have a whole new relationship with the source country which wasn’t even the country they were fighting at the time? Legally, there is no issue here. The question is an ethical one, and although as a point of general principle I tend to side with source countries on these issues, the sticking point for me with the Rosetta Stone is the fact that it has become the premier icon of Egyptology due to the French and British scholarship that followed its discovery. That is why it is a household name, not because it’s a piece of exceptional beauty and rarity like the bust of Nefertiti in Berlin (also on Hawass’ short list), not because it played a key role in the history of Egypt itself, not because of what it proclaims in those three languages. The Rosetta Stone was the key to unlocking the words of the pharaohs, so of course Hawass is entirely correct that it is an essential piece of Egyptian identity. However, it’s also an emblem of decipherment, a cultural byword recognized around the world as the ultimate key to a past so long obscured. So my solution to the brouhaha is as follows: the British Museum needs to knock it off with that offensive pukka attitude it takes towards loan requests for culturally sensitive objects, work out the mechanics of the loan like a grownup and act as part of a global community of museums instead of insisting that the world come to them. Original works of the three Italian Renaissance masters Leonardo da Vinci, Michelangelo and Raphael, will go on display at the Eriksbergshallen in Gothenburg, Sweden, from March 20 until August 15. Don’t worry if you aren’t likely to wind up in Sweden between those dates. After the debut show, it’s going on the road. The dates aren’t established yet, but the exhibit, called “And There Was Light“, is expected to tour the world for 8 years. This is the first time works from all three men, considered the traditional trinity of the Old Masters, will be on tour together. Usually they each get their own exhibitions because they’re virtually guaranteed to generate huge crowds, so this show is a once-in-a-lifetime kind of deal. Most of the 50 original Renaissance masterpieces are in private collections. They’ve never or rarely been exhibited in public before. The sections of the exhibition cover different periods of time. The three masters are presented on the basis of what they did in each period, where they worked and how they competed as rivals for commissions and attention. 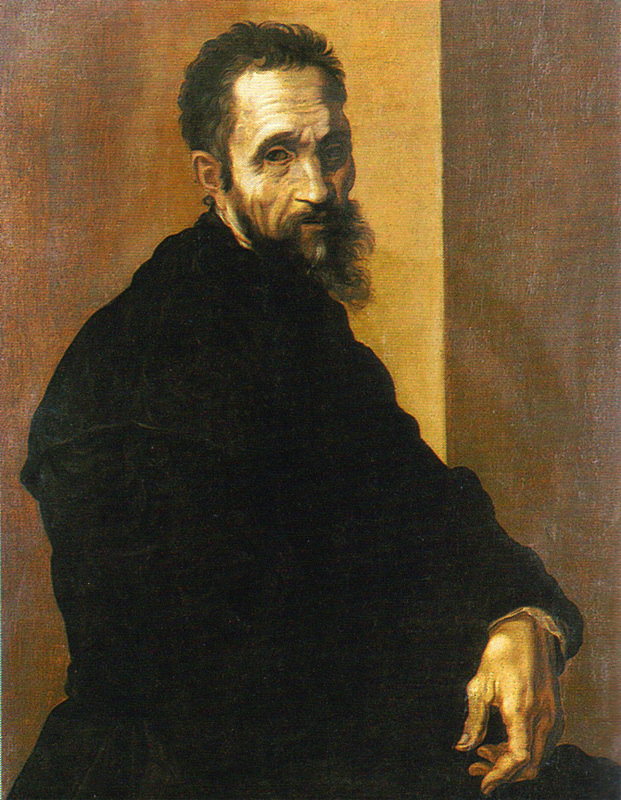 Other important Renaissance individuals and their works or actions also figure in the exhibition. Everything is illustrated in an educational yet exciting manner using modern technology, multimedia, models of well-known sculptures, reproductions of works of art and three-dimensional models of inventions and buildings etc. One section contains famous original works of art (paintings, sculptures and drawings) from the late 15th and early 16th centuries. A few original works of art by later artists who were inspired by the three masters are also shown here. During their lifetimes the three men had a fierce rivalry, fighting for commissions. Michelangelo hated Leonardo and when Raphael moved to Rome and Pope Julius II gave him a commission right away while he kept Michelangelo waiting, Michelangelo started hating Raphael too. Raphael’s penchant for, let’s just say, “finding inspiration” from his rivals pissed Michelangelo off even more. Years after Raphael died, Michelangelo was still calling him a plagiarist in his letters. There will also be workshops held at the exhibition hall, where visitors will be able to sculpt and paint while rubbing shoulders with the Renaissance greats. A team of international luminaries put the exhibit together, led by Francesco Buranelli, director of the Vatican museums, and renown da Vinci expert Alessandro Vezzosi. 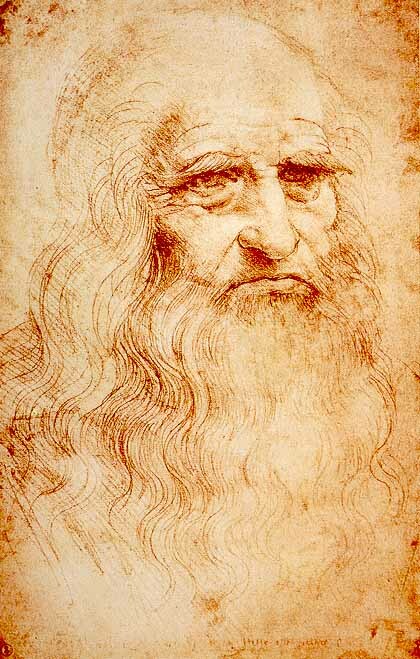 The latter is the man who first attributed the recently-surfaced “La Bella Principessa” painting to Leonardo da Vinci. 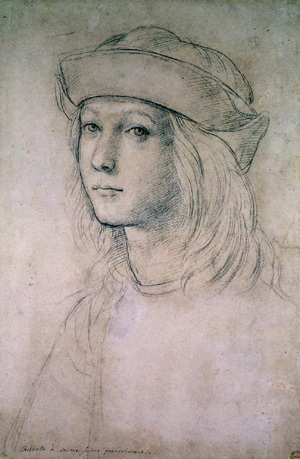 La Bella Principessa is part of the exhibit, in fact, in its debut showing as a Leonardo. Thanks to the Art Fund’s amazing work raising funds from individual donations, trusts and grants, and a huge £1,285,000 (almost $2 million) final donation from the National Heritage Memorial Fund, the Staffordshire Hoard is staying put in the region where it was found. The NHMF donation brings the total funds raised to the £3.3 million target a full 3 weeks before the deadline. Now two local museums — the Birmingham Museums & Art Gallery and the Potteries Museum & Art Gallery — will receive the donated sum and they’ll both purchase the hoard from its discoverer Terry Herbert and Fred Johnson, the owner of the property where it was found. The museums will share the hoard for display, conservation and research purposes, which is a great solution both for the public, so they have the opportunity to see the treasure in a couple of different places, but also for regional museums in general. A collaborative model allows local museums to support their own heritage instead of the British Museum getting it all. 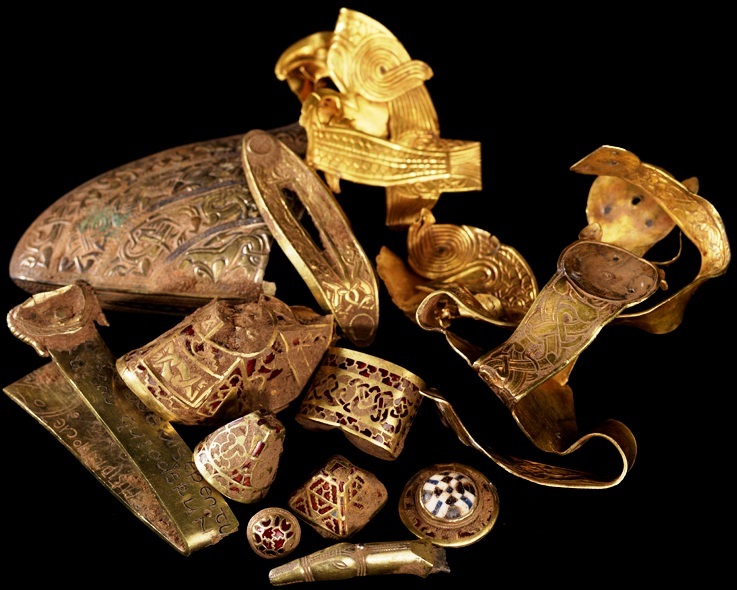 Next hurdle: raising £1.7 million to properly conserve and study the hoard going forward. The Art Fund is keeping the donation lines open to help raise the conservation cash. Oskar Schindler, the Czech businessman made famous by Stephen Spielberg for saving 1,200 Jews from the concentration camps, made 7 copies of his life-saving list. The whereabouts of two of them are unknown, the Israeli Holocaust Museum has two, another is in a public archive in Koblenz, Germany, another is in the Holocaust Museum in Washington D.C., and the final extant list belongs to the Stern family, descendants of Schindler’s accountant and right hand man, Itzhak Stern. After two years of negotiations with historic document dealer Gary Zimet of MomentsInTime.com, the Stern family has put that last known privately-held copy on the market. The price is a cool $2.2 million. While Zimet expects that many museums will be interested in obtaining the list, he notes that the high price will require a patron to step forward. “These days, museums are all broke,” Zimet said. Several copies of the list were made between 1944 and 1945. Every time Schindler submitted a new (and longer) list of employees to be spared the camps, he kept a carbon copy. 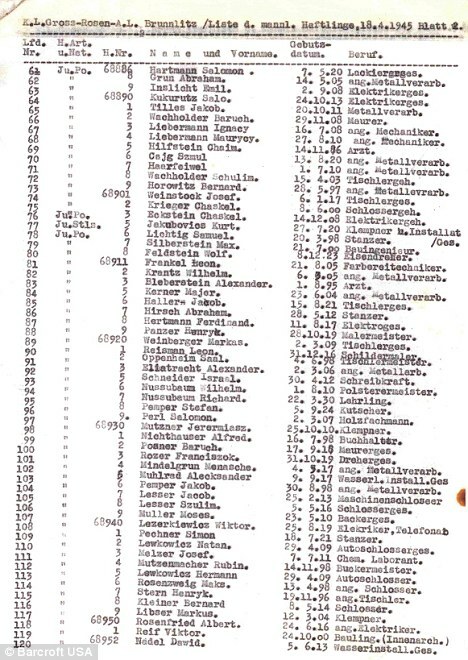 According to the Stern family, this particular list of 801 names dated 18/04/1945 was the second to last one Schindler made. Here’s hoping someone with cash could use the tax write-off and donates it to a public institution.